Kid-friendly 3-D projects and sculptures! This exciting non-toxic product makes creating 3-D projects and sculptures easier and more enjoyable. Lightweight, soft and clean, and self-hardening. 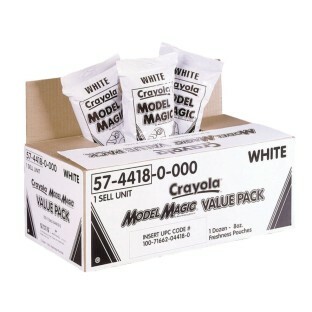 Model Magic® is easily molded into any form and can be air-dried. Paints easily, is non-staining and won't stick to skin or carpets. 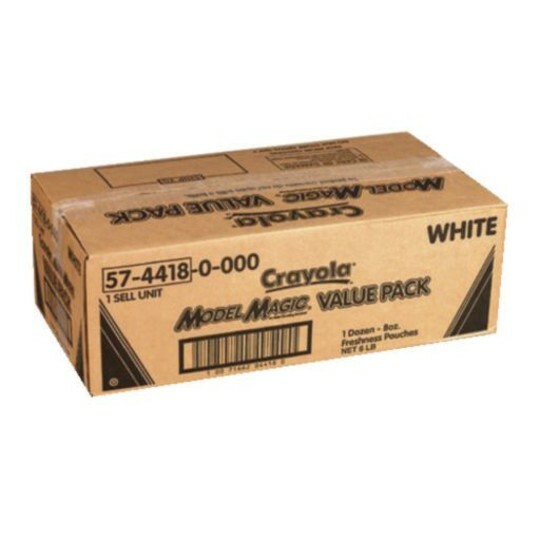 Value pack containing 12 individual 8 oz. packs. Weighs 6 lbs. White only. We used this the last night of Vacation Bible School as a free play craft so we could easily finish up other projects and organize the rest of the weeks activities. It worked great and the kids enjoyed their own creativity. Model Magic is incredible stuff! So many different projects and an excellent clean alternative to messy clay! Easy on the hands - great sensory material - I just can't say enough about it - love this bulk pack. It lasted us the entire year. Kids like creating their own animals creatures flowers and scenes. They love mixing model magic with water color markers to make pastel and tie dyed colors.Great to use for dioramas. 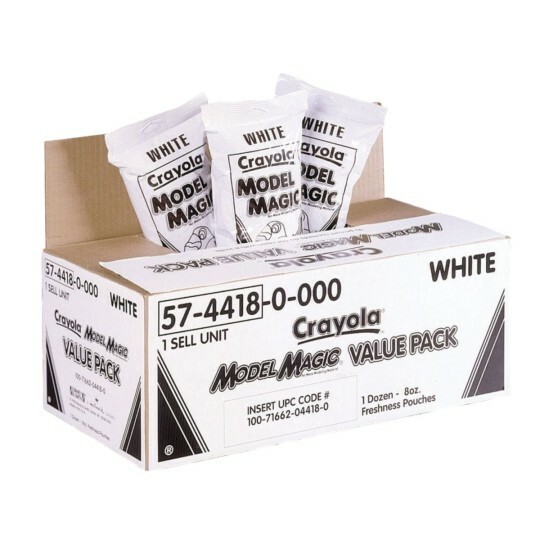 Used this product for an art class ages 8 and older and for a make and take craft time all ages 2 and older both groups enjoyed using the product. Unlike playdough it left no mess.